Advance Wars was a game series that many players may have fallen in love with back in the early 2000s. The US didn’t experience the games at all until Advance Wars came overseas in 2001, though the franchise itself existed as far back as 1988 under the name Famicom Wars. 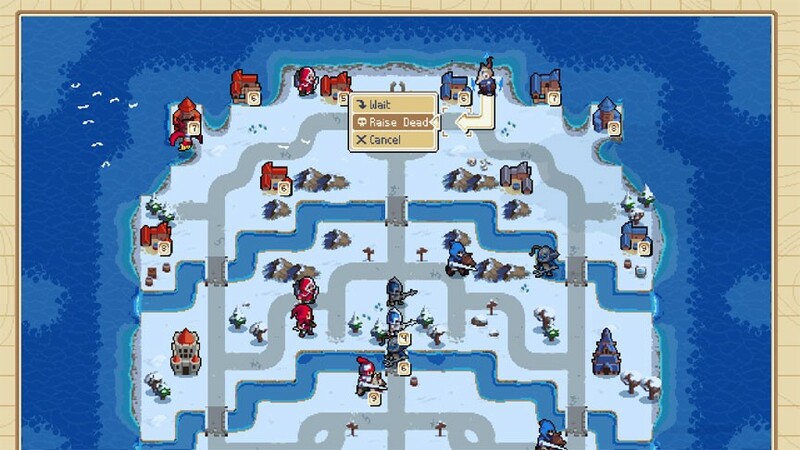 Known for colorful spritework and turn-based tactical gameplay, the series wormed its ways into gamer’s hearts until it mysteriously disappeared in 2008, with Advance Wars: Days of Ruin. So, why would it be necessary to know information about a completely separate game series in order to understand Wargroove, which is a new IP? 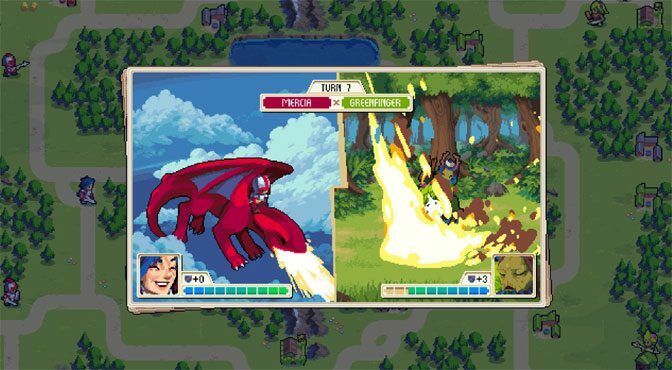 Well, it’s because Wargroove is heavily inspired by the Wars series in its gameplay, and there’s never been a better time for a game to try and fill that gap since the aforementioned series has been shelved for over a decade. 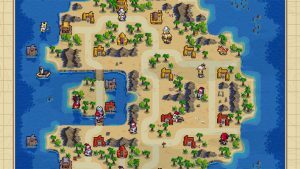 So is Wargroove the Emperor’s New Groove of the genre, or is it the poison specifically for Advance Wars fans? Advance Wars fan’s poison? Poor Kronk references aside, let’s find out. 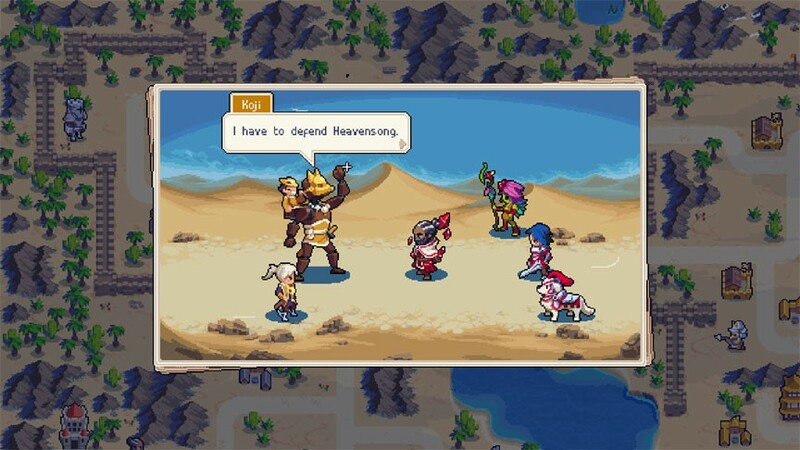 The story campaign of Wargroove begins with you controlling Queen Mercia, who has little time to grieve after her father, the king, is mercilessly slain in his castle by a vampire. A host of undead threaten her kingdom, and it’s up to her to save it! The story, itself, is relatively lighthearted with characters spouting one liners at each other in relatively cute ways, as you make your way across the countryside and clear up misconceptions, recruit allies, and try to stop the evil at its source. The story is mostly just an excuse to have a campaign to play, though, as players will largely be purchasing a title like this for the gameplay, not the plot. The story is passable, there’s just not a lot of meat to it outside of giving a backdrop for the conflict, however. The campaign does a fairly good job of setting up a variety of scenarios for the player to battle through- sometimes at an advantage, commonly at some form of disadvantage. 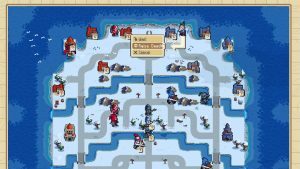 Sometimes the enemy will begin in a much better position or begin controlling more towns, units, or something to that extent. 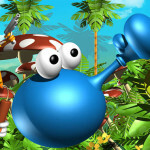 Most of the missions are actually quite simple to work your way through if you’re only worried about clearing a level, but for those who wish to unlock everything, there’s a star rating system that gauges your performance based on how quickly you clear a level (though 3-starring every story mission is not required in order to unlock everything, but it does give a reason to replay a stage if your performance wasn’t up to par the first time). 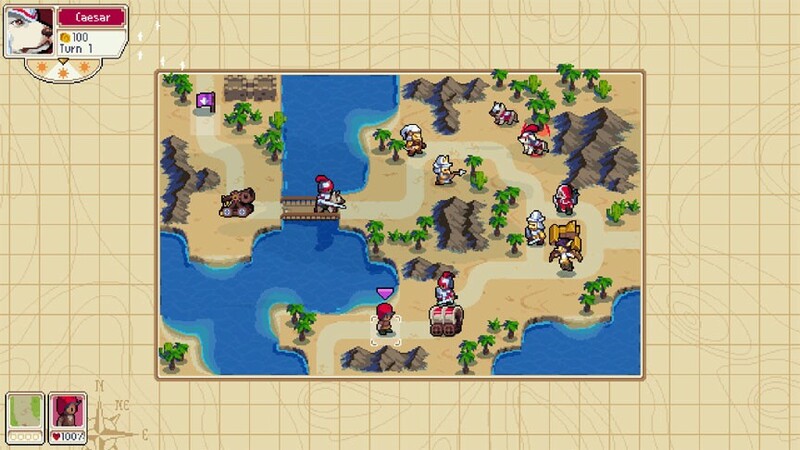 As for the gameplay of Wargroove, players of Advance Wars games will be immediately familiar, here. Depending on map or rules, players will control a base, a stronghold, that must be protected at all costs- losing your stronghold means you lose the map. 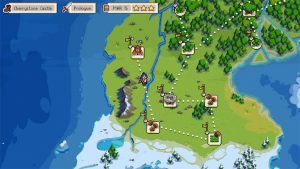 Towns can be captured to give you money each turn, which can be spent to heal or create new units on barracks, ports, and towers to create land, sea, and air units, respectively. 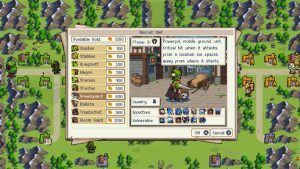 Infantry units can capture any of the aforementioned buildings, so the gameplay loop starting off will have you recruiting new units, using those units to capture buildings for income, then using that income to create new units. 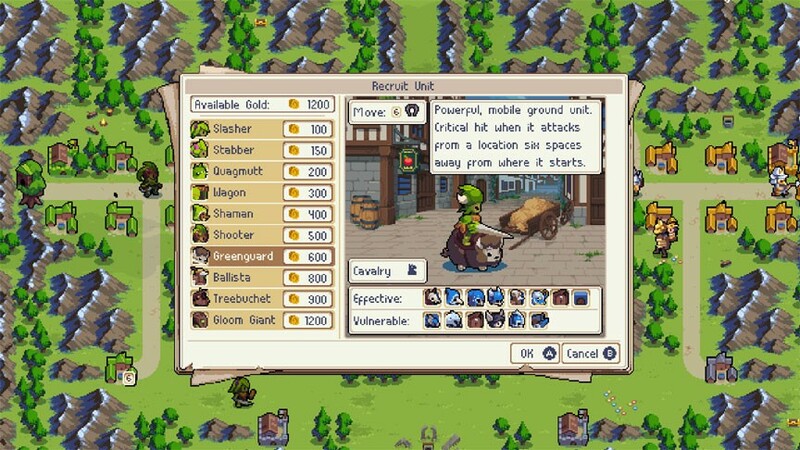 Money will also be used to heal units on friendly buildings, another important aspect of gameplay. 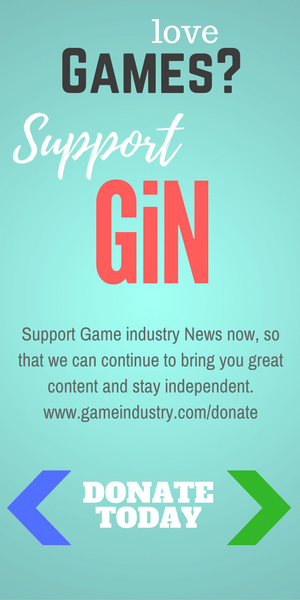 Calling all armchair generals! Join the fight! 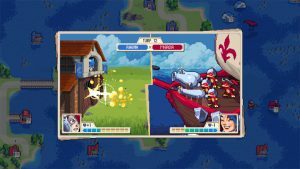 Pick up a copy of Wargroove from Amazon! 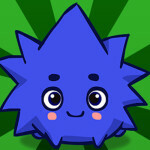 Different units tend to be better against other units, making a form of rock-paper-scissors. For example, spearmen units are cheap, have low movement but are easily capable of handling the more expensive cavalry units with much larger movement ranges. Archers can deal significant damage against spearmen, while cavalry can easily move outside the range of archers to deal them substantial damage. These kinds of circles work across all of the units in the game, land, sea, and air, and each unit also has their own ability to get critical hits if certain criteria is met. Spearmen get a tremendous damage bonus if they’re adjacent to another spearman, whereas Soldier units get a damage bonus if their Commander is next to them. This is a notable departure from Luck stats or how COs were deployed in Advance Wars: Days of Ruin- the Commander you choose to play as can be directly placed on field and are exceptionally powerful. Commanders are powerful, but also have a giant drawback- they’re capable of one-shotting weaker unit types, but if your Commander takes too much damage and dies, you lose the fight, similar to what occurs if your stronghold is captured by an enemy force. 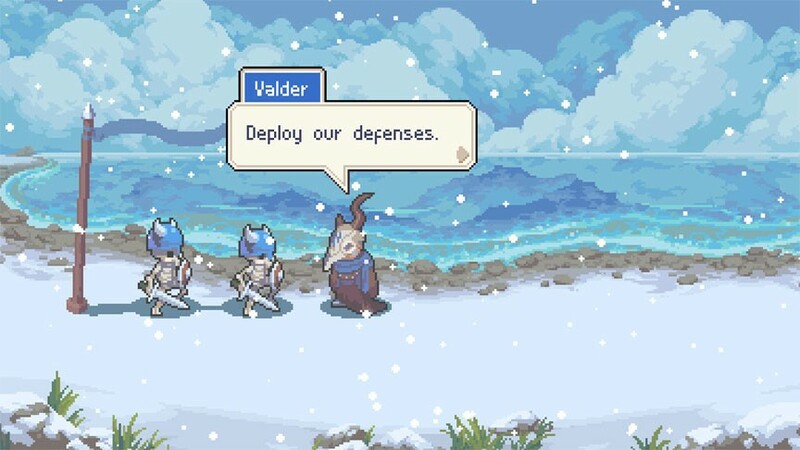 Like CO Powers from Advance Wars, Commanders can build up a powerful Groove ability that can turn the tides of battle around them. Queen Mercia’s Groove heals 3HP to all units around her, while the wardog Caesar, who is objectively a good boy, can inspire units around him to attack again, that sort of things. Grooves are more centralized and used for small pushes rather than completely flipping the battle on its head like the powers in Advance Wars: Dual Strike. 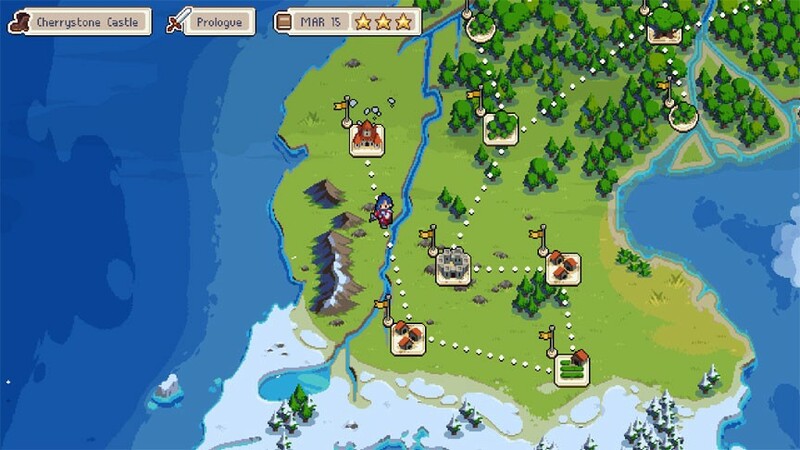 The strategic gameplay of Wargroove is sound, with no differences in units across factions for balancing purposes. The Commanders themselves is where the balancing kind of went AWOL, with Nuru being among the most powerful since she can use her Groove to instantly summon one unit of any type you can afford to a space adjacent to her, the unit can move and attack immediately, plus the Groove itself charges very quickly (keeping your Commander out of harm while making them a portable Barracks or air Tower is deceptively good). Tenri is another unit of similar strength with a similar capability: She can use a tornado to move any non-Commander unit to another space, and can straight up move enemy units behind walls or in areas that completely wreck their effectiveness, which means many types of formations are useless against her. Most other Commanders don’t really have the capability to overturn a losing battle, but if any are close to this, Nuru and Tenri would be the two, in this humble reviewer’s experience. More than just the campaign, there’s also an Arcade mode, which has you fighting your way through a series of scenarios in a row on symmetrical maps, and a Puzzle mode which will have you fighting your way through to a solution. Both of these modes need unlocked, though you don’t have to progress far in the campaign to unlock them. 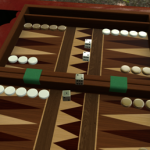 There is also online multiplayer, which can be played asynchronously like a game of chess, which is an amazing idea for any turn-based online game that can take 30-60 minutes during a particularly grindy online matchup. Lastly, there are custom maps that players can create and share to further the replayability- for being merely $20, there’s a bunch of value in this tiny package, assuming you like turn based strategy games. The art assets in Wargroove are exceptionally high quality, and the game exudes a very competent visual polish. 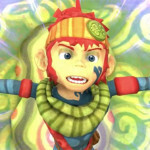 All of the characters in the game are vibrantly colorful and are animated with extreme care, giving them a wealth of personality. The soundtrack has some great tracks that similarly have a load of personality, and each Commander has their own unique theme that plays while you’re in a mission. Each theme fits the Commander, and it’s hard to get tired of listening to them even after hearing the same tune play for upwards of 15 minutes during a 30 minute long mission (because your opponent’s turn music will play during their turn). Overall, Wargroove is an extremely competent game that draws a ton of comparisons to a fan favorite game series that has been left forlorn for over a decade. 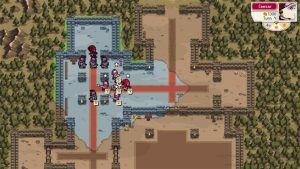 Some balancing issues aside, the use of Commanders, Grooves, unit balance, and critical hits gives this game just as much for a player to utilize as the Advance Wars series, itself. 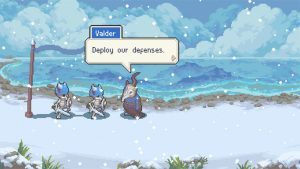 The balance, itself, can be fine-tuned after the fact, but what Chucklefish has here is a wonderful base for a stellar game that would be a shame to not see more of in the future. 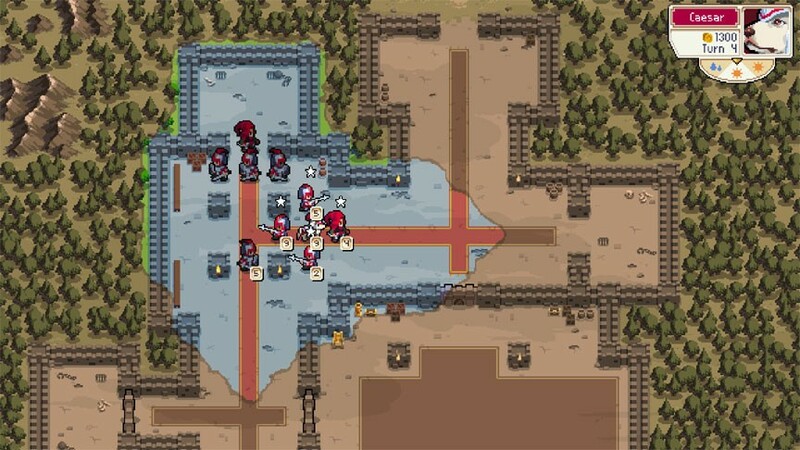 If you ever played and remotely enjoyed Advance Wars, or turn-based strategy in any facet, you should check out Wargroove. 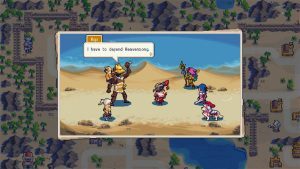 If strategy games aren’t your thing or you only play 4x strategy, or something to that extent, Wargroove may not particularly change your mind unless the bright and buoyant pixel visuals are enough to draw you in and get you hooked.